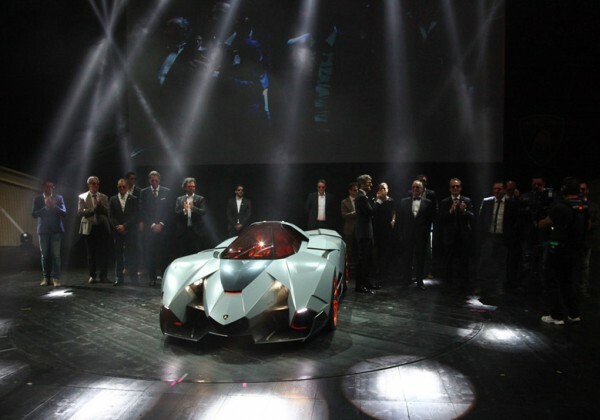 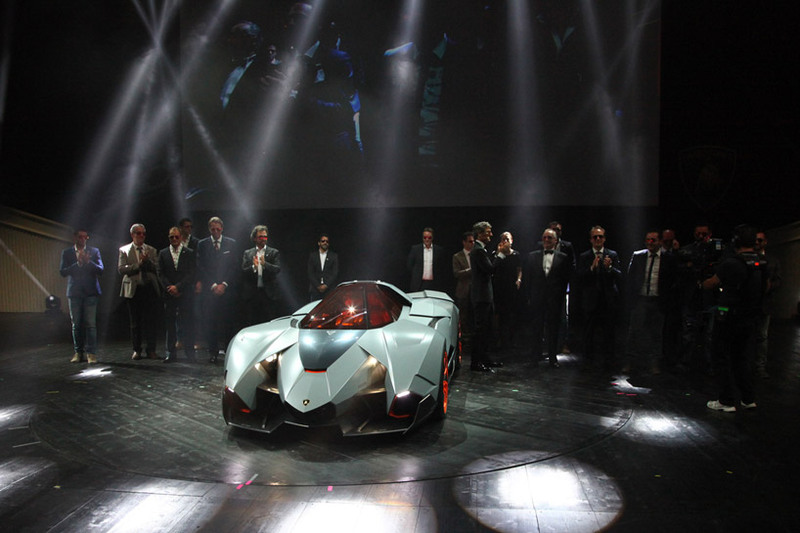 powered by a 600 horsepower 5.2-liter V10 engine, the lamborghini egoista - which was unveiled at the final stop of the grande giro d'italia in sant'agata bolognese - celebrates the company's 50th anniversary with a design by walter da silva, the head of designer of the volkswagen group. 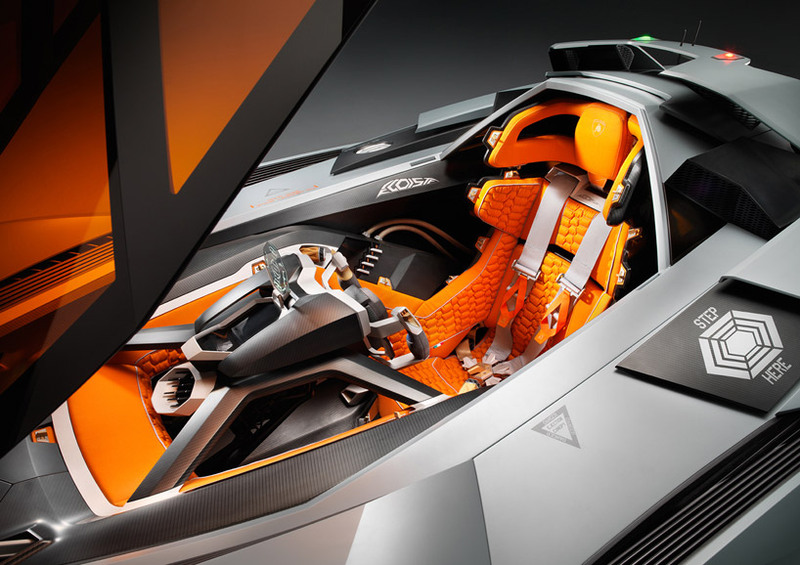 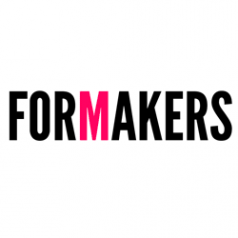 the single-seater concept is characterized by two fundamental aspects: its architecture, and the materials used. 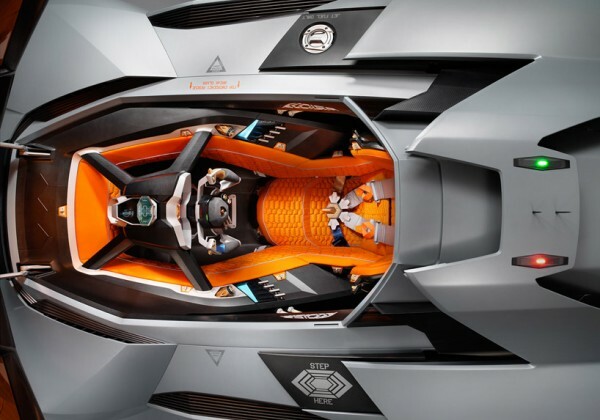 the cockpit, designed like a tailor-made suit for the driver, is a removable section which, once combined with the rest of the vehicle, creates a perfect technical, mechanical and aerodynamic unit. influenced by the world of aviation - specifically an apache helicopter - the cockpit can be ejected in an emergency. 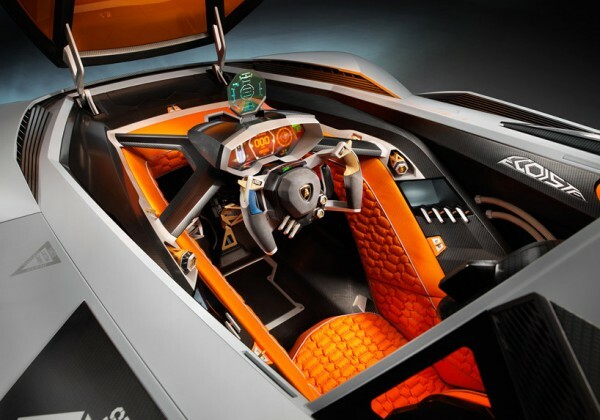 'the cockpit, made completely of carbon fiber and aluminum, represents a sort of survival cell, allowing the driver to isolate and protect themselves from external elements,' de silva explains. 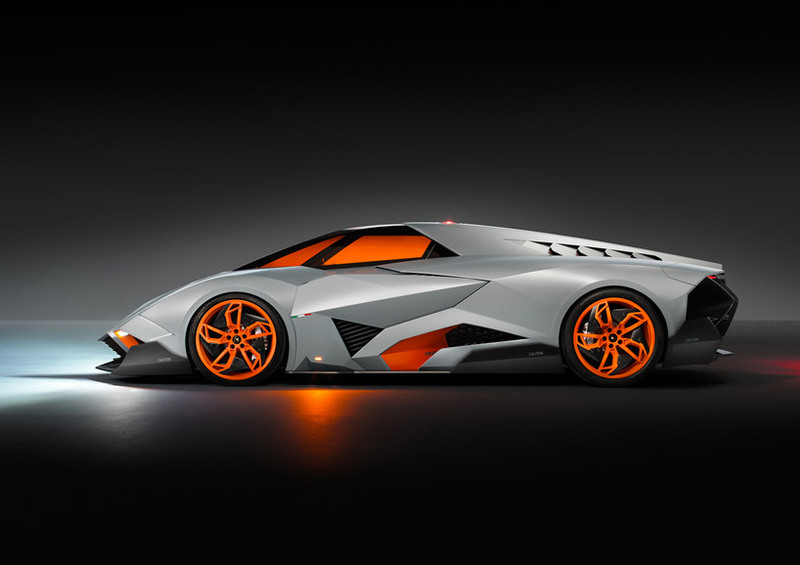 'we kept an eye on the future when designing the egoista, with the idea that its cockpit could have been taken from a jet aircraft and integrated into a road vehicle, to provide a different travel option.conferring a futuristic dynamism where highly aggressive lines drive towards the front end of the supercar, the exterior bodywork seems to be dominated on its sides, by the stylized profile of a bull preparing to charge its horns lowered. the plan view reveals a trimaran profile, where the central hull forms a unique section with the cockpit, underlined by the carbon-fiber cover on the front hood.the one-off 'egoista' uses LED clearance lights that look more like an aircraft than road car - which determine its position not just on a single plane such as the road, but rather in three dimensions, as is required in airspace. 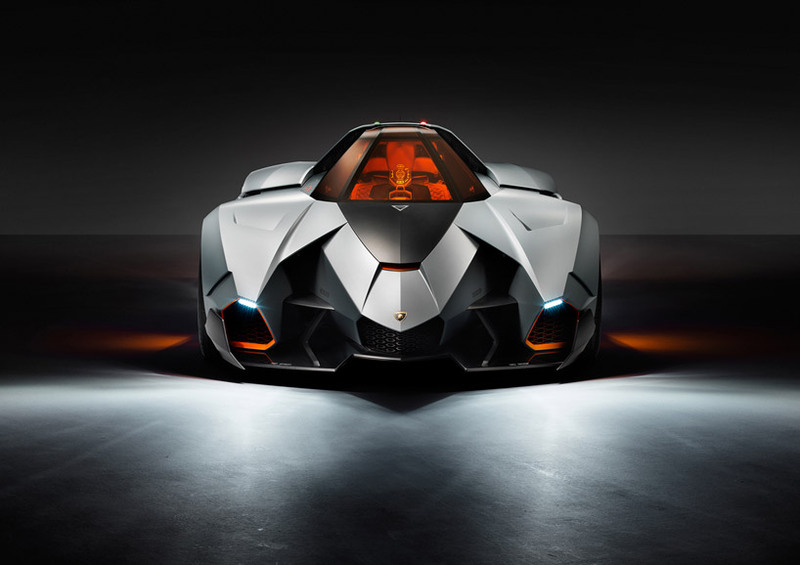 the vehicle seems almost like a four-wheeled UFO as the body is made from a special antiradar material, and the glass is anti-glare with an orange gradation. 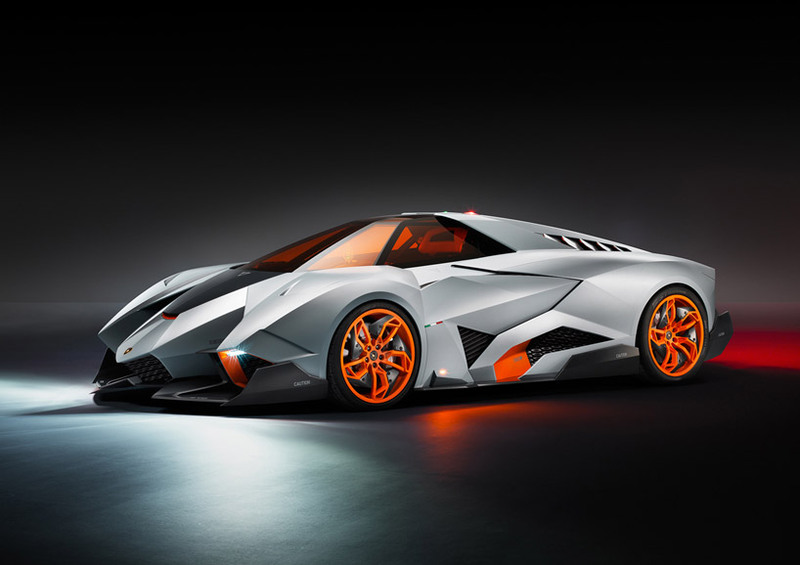 the rims are also made from anti-radar material - flat and rough - embellished with carbon-fiber plates to improve their aerodynamics. 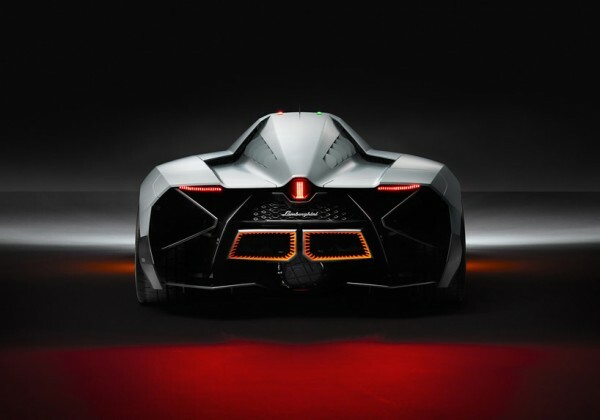 the upper part of the vehicle does not have aerodynamic appendages, but rather integrated separate rear spoilers in the bodywork profile which act automatically depending on the driving conditions. 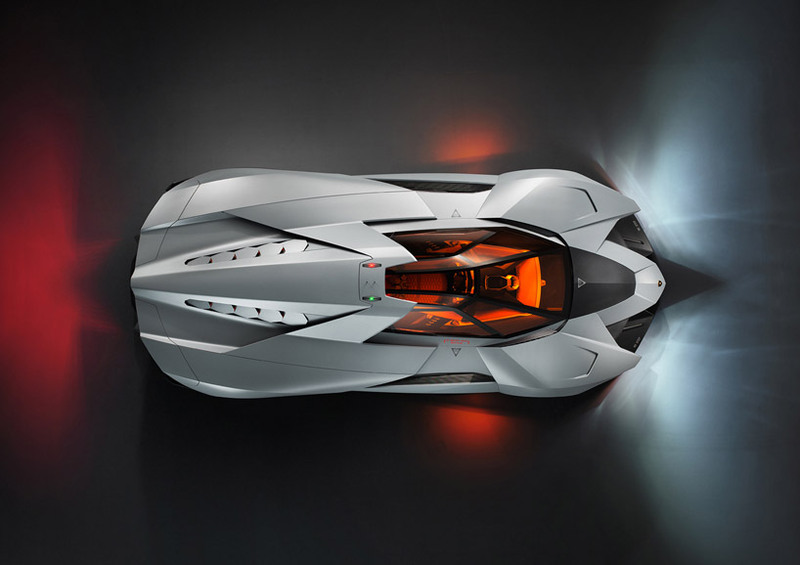 two rear flaps activate automatically at high speeds to increase stability, while a series of air intakes on the back of the engine hood provides the cooling air flow to the powerful V10 power plant. 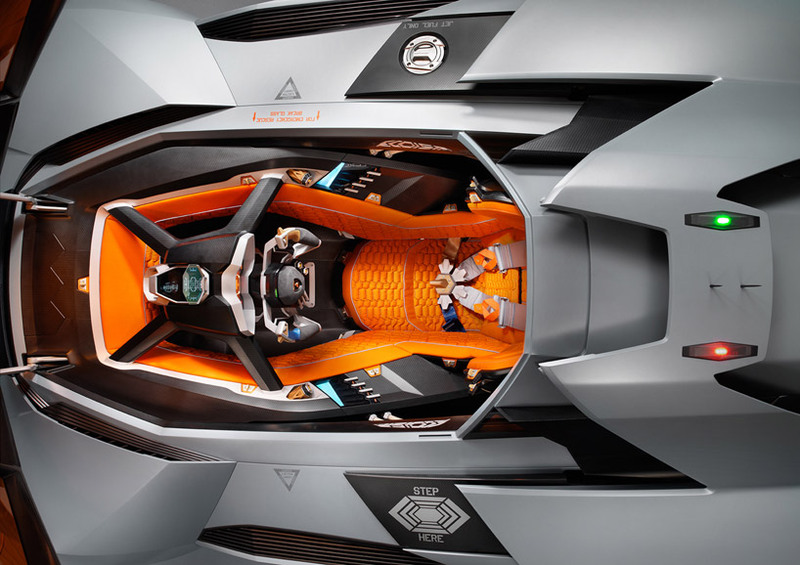 the cockpit's interior is taken to the extreme with an individual racing seat with a four-point seatbelt, each strip a different color, the airbags, and a bare minimum of instruments. the focal point of these is a head-up display, typical of jet fighters. to get out of the vehicle, the driver must remove the steering wheel and rest it on the dashboard, open the dome with an electronic command, stand up in their seat, sit down on a precise point of the left-hand bodywork, then swivel their legs 180 degrees from the inside of the cockpit to the outside of the vehicle. at this point they can set their feet down and stand up.